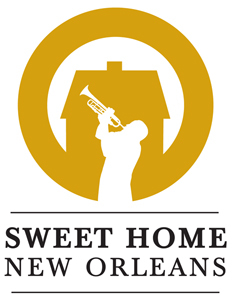 I’m really proud of the work we’re doing at Sweet Home New Orleans. As Program Director, I had the pleasure of designing programs that reflect our new mission of helping New Orleans musicians make a living while staying in New Orleans. We’ve implemented a Music Business education program for professional musicians. We have also been evaluating local music veneus, and giving an Empower Musicians Seal of Approval to those who treat their musicians professionally. I encourage you to take a look at what we’re doing. And if you’re a local musician, apply for our courses. If you own a venue you think should be considered for the “Empower Musicians Seal of Approval,” nominate yourself. We’d love to talk.